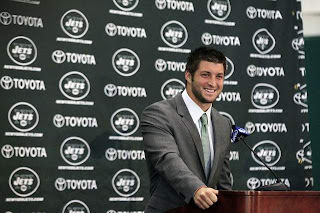 It’s been obvious for months that Tim Tebow had no future as a quarterback for the Jets, and the only surprise when the Jets cut Tebow on Monday was that they waited so long to do it. But did the Jets keep Tebow around as long as they did with a thought of moving him to another position? 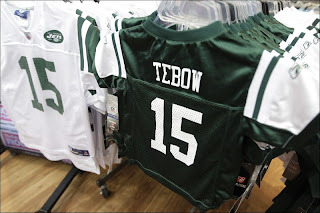 Asked that question on Mike and Mike in the Morning, John Idzik said that from the time he became the Jets’ general manager, he and the Jets’ staff never had any thought of playing Tebow anywhere but quarterback. The strange thing about the way the Jets used Tebow last year, however, was that they seemed to be going out of their way not to give him a chance to play quarterback: He was the personal protector on the punt team and took snaps in the Wildcat formation, but when the Jets wanted a quarterback to replace Mark Sanchez, they turned to Greg McElroy, not Tebow. Tebow was good with the ball in his hands in college and might be able to play some fullback or tight end if given the opportunity, but from all accounts he sees himself as a quarterback. And although the Jets didn’t give him a chance to play quarterback, that’s how they saw him, too. The Jets have released quarterback-of-all-trades Tim Tebow, less than 14 months after trading for him. It’s a little strange that Ryan would be the one to comment on the situation, given that G.M. John Idzik surely made the decision. Perhaps Idzik, who had nothing to do with the decision to acquire Tebow, opted to ask Ryan to be the one to apply the final mop to the move that made last year a mess for the Jets. The timing makes clear that the Jets squatted on Tebow through the draft, in the hopes that someone/anyone would trade something/anything for his contract. On Friday, the Jets leaked to ESPN that he showed up 15 pounds lighter and that Tebow continues to win support in the organization. That was the Hail Mary pass. And it ended up being roughly as accurate as most of the passes Tebow throws. Tom Brady, the 199th overall pick in the 2000 NFL draft, has been known to think about the six quarterbacks selected ahead of him that year as a form of motivation. 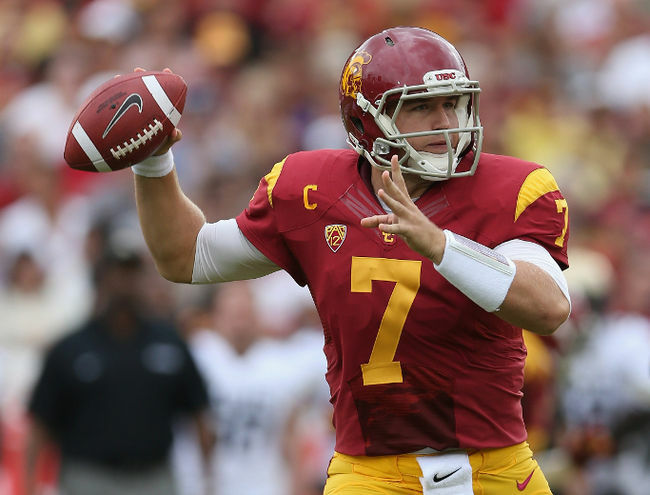 Matt Barkley, the 98th overall pick in this year’s NFL draft, says he’s going to have a similar mindset. For the record, the quarterbacks drafted ahead of Barkley were E.J. Manuel, Geno Smith and Mike Glennon. And the teams that didn’t draft Barkley are all 31 teams besides the Eagles — every team had a chance at Barkley and passed. So if Barkley needed any motivation, this draft has given him plenty. 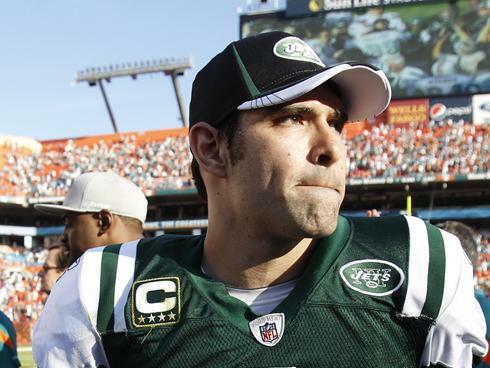 The Jets owe quarterback Mark Sanchez $8.25 million in 2013, whether he’s on the team or not. Suddenly, “or not” is becoming a viable option. Adam Schefter of ESPN reports that, with the selection of quarterback Geno Smith, the Jets will now consider releasing Sanchez. It makes sense. Apart from the fact that half of the six quarterbacks on the roster eventually will have to go, the Jets need to pick a lane and stay in it. If Sanchez starts, Smith will always be looming. If Smith starts, Sanchez’s ability to adjust to being a backup will always be scrutinized. The decision to pick Smith could mean that it’s time for the Jets to grab the Sanchez Band-Aid and rip it off. In one fast, painful motion. Doing so would trigger a significant cap charge. Even with a post-June 1 designation, Sanchez would count for $12.353 million ($12.853 million if he gets his workout bonus) and $4.8 million in 2014. The Chiefs hold the first pick in the first round. Since the Jaguars had the same 2-14 record but lost the first overall pick due to tiebreakers, Jacksonville gets the first pick in round two. And while the Jags surely will entertain trade offers from the time round one ends until the time round two begins, the thinking in league circles is that the Jaguars will be prepared to take one of two quarterbacks, if they use that pick. The expected choices are Matt Barkley or Ryan Nassib. 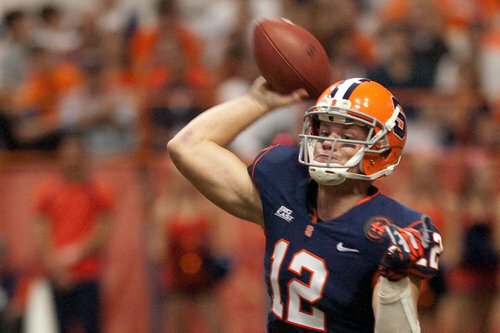 Nassib makes sense; the Bills definitely fear that the Jags will take him in that spot. Which means that the Bills could end up taking Nassib at No. 8 or trading back into round one to get him. Barkley likely will be available with the first pick in round two, unless someone trades up to get in front of the Jaguars to get the former USC quarterback. Finding a quarterback who fits Jedd Fisch’s offense surely is a priority for the Jaguars. While Blaine Gabbert was a first-round pick two years ago, the team has since gotten a new owner, a new General Manager and not one but two new head coaches. Surely, coach Gus Bradley wants his own guy under center. So don’t be surprised if the Jags go left tackle with the second overall pick, and then take a quarterback out of the gates tomorrow. We actually wouldn’t be shocked if the Jaguars opt to swing back into the bottom of round one tonight in order to avoid having the Ravens trade down from No. 32 with a team that takes the quarterback the Jags would target on Friday night. It could be that the Ravens squeeze the Jaguars into a one-pick flip-flop to prevent someone else from getting the 32nd spot. Quarterback Matt Flynn has already been guaranteed something with the Oakland Raiders that he never received while with the Seattle Seahawks last year. The right to be named the team’s starting quarterback. Even though Flynn likely thought he’d win the starting job last year with the Seahawks after signing a three-year deal with the team last offseason, head coach Pete Carroll never said that would be the case. Carroll said Flynn would have to compete with Tarvaris Jackson, and later on rookie Russell Wilson, for the starting job and that he wasn’t going to be handed the job. When the offseason work and training camp began, it was Jackson that was taking the first-team snaps in practice with the team. 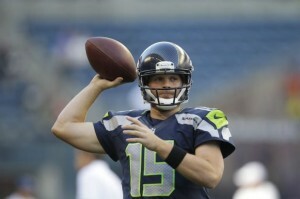 Flynn would earn the starts for Seattle in their first two preseason games before Wilson supplanted Flynn as the starter for the regular season. But Flynn already has a leg up in Oakland. According to Vic Tafur of the San Francisco Chronicle, Raiders general manager Reggie McKenzie has named Flynn the starting quarterback as offseason workouts are set to begin. McKenzie said Flynn would have to compete with Terrelle Pryor and any quarterback the Raiders may select in the draft this week but it’s more that he was given in Seattle. McKenzie was with Flynn in Green Bay for the only two starts he’s made in his NFL career and feels he can be a solid quarterback in the league. “Two things that I feel are important and that’s presence, as far as leadership and knowing how to move a team down the field, and knowing how to do it,” McKenzie said. Is it genuine interest or is it just a pre-draft smokescreen? 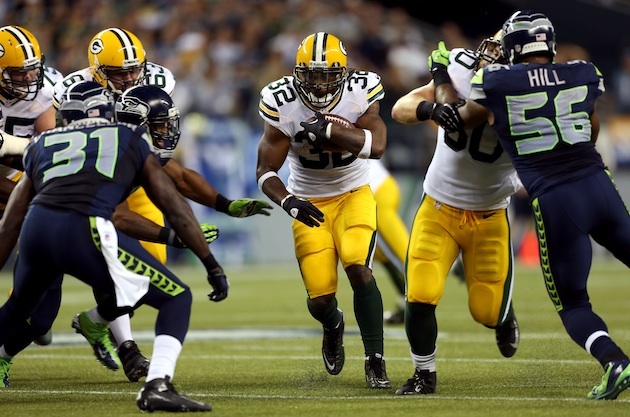 That’s the question to ponder about running back Cedric Benson visiting the Packers on Wednesday. Adam Schefter of ESPN reports that Benson is scheduled to go to Green Bay for a meeting with the Packers, the team he played five games with last season before a Lisfranc injury sent him to injured reserve. Benson is reportedly getting close to 100 percent in his rehab from the foot injury so the timing of a visit to check in with his old team makes sense. There’s been plenty of speculation about the Packers taking a running back in the draft, particularly one who runs in the pounding style that Benson has favored over the course of his career. Signing him would eliminate that need and allow the Packers to focus on other areas. While Benson’s style would work for a team “bound and determined” to get more physical, although you have to wonder if the Packers might prefer a younger model with more tread left on the tires than Benson has left at this point. That’s why it would also make sense to talk to Benson as a way to disguise an intention to take a running back early in the draft. Green Bay’s true intentions can only be known when they opt for one route or the other, but keeping others guessing is probably a big part of the plan in the first place. The Steelers haven’t taken a quarterback since drafting Dennis Dixon in the fifth round of the 2008 draft, but their streak of quarterback-less drafts could end this week. Gerry Dulac of the Pittsburgh Post-Gazette reports that Steelers General Manager Kevin Colbert broke with recent trends and said the team was open to the possibility of drafting a quarterback at some point during the 2013 draft. Per Dulac, the team isn’t interested in finding someone with the intention of grooming a replacement for Ben Roethlisberger in the near future but could find a developmental prospect to develop over several years while Roethlisberger remains in charge of things on offense. According to the report, the Steelers believe Tyler Bray of Tennessee is the most talented quarterback in this year’s class. The strong-armed early entry isn’t ready to play right now, although his potential may still push him into the second day of the draft and Dulac believes that’s earlier than the Steelers might like to pick a player with no immediate chance to play. E.J. Manuel of Florida State and Zac Dysert of Roethlisberger’s alma mater Miami of Ohio are also mentioned as quarterbacks who have caught the team’s eye over the last few months. 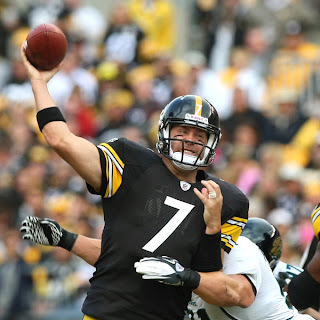 With Bruce Gradkowski signed to be a backup and John Parker Wilson also on the roster, the selection of a quarterback would likely bring an end to Charlie Batch’s run with the Steelers. That would make for quite a change in the “back in my day” stories told during position meetings since the quarterbacks mentioned above were just a couple of years out of diapers when Batch was getting ready for his own draft day. It’s fitting that the rocky relationship between the Jets and cornerback Darrelle Revis would end with the player’s camp throwing one final stone at the franchise. “The organization is not committed to winning,” a source close to Revis told Manish Mehta of the New York Daily News in the aftermath of the trade that sends Revis to Tampa Bay. 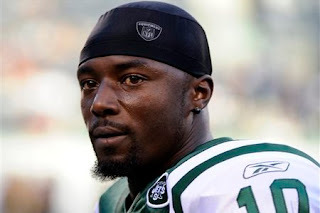 While that’s likely debatable, the truth at a minimum is that the Jets weren’t committed to paying Revis. It’s unclear whether Revis would have accepted from the Jets the same year-to-year, $16 million annual offer that the Buccaneers made, but the Jets apparently weren’t inclined to make it. At a minimum, the Jets would have wanted assurances against a third holdout from Revis, which could become inevitable in 2014 or 2015 if he ends up making an Adrian Peterson-style return from ACL replacement surgery. Other than the fines to which any player would be subject for holding out while under contract, the new Revis deal includes no ability to recover money paid in prior years, since Revis received no signing bonus. 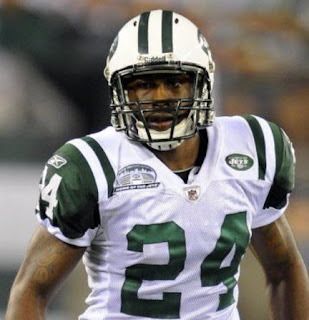 Of course, it all will be forgotten quickly in New York if Revis never returns to form, or if the 13th overall pick received from Tampa can be parlayed into a great player. But the problem with the draft is that, for ever great player there’s a crappy one. And there’s no guarantee when the name is called that the player will fall into the desired category. Unless we know more about the NFL fortunes of the player taken with the first-round pick obtained for Revis’s rights, Jets fans will settle for the team demonstrating its commitment to winning by winning the regular-season opener — which features a visit from Revis and his new team. Nose tackle Steve McLendon isn’t the only restricted free agent the Pittsburgh Steelers managed to get back in the fold on Thursday. 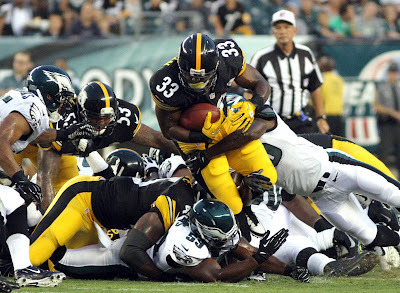 Running back Isaac Redman also signed his tender to remain with the Steelers next season. Redman will make $1.323 million for the Steelers next year. Redman has carried the ball 110 times in each of the last two seasons. In 2012, Redman gained 410 yards and scored two touchdowns. He also caught 19 passes for 244 yards. James Harrison is about to become a Bengal. 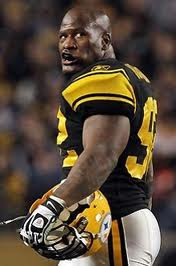 Harrison, the longtime Steelers linebacker, has agreed to terms with the division rival Bengals. It’s a two-year contract, according to Joe Reedy of the Cincinnati Enquirer. The deal comes shortly after Bengals coach Marvin Lewis said he expected to sign either Harrison or veteran linebacker Karlos Dansby before the draft, but that the Bengals wouldn’t sign both of them. Hearing that may have been just the message Harrison needed to agree to terms before the Bengals lost interest. And now the Bengals’ two games with the Steelers will get a little more interesting: Harrison sacking Ben Roethlisberger would certainly fire up the fan base in Cincinnati, and would lead to Harrison hearing plenty of boos in Pittsburgh. He’ll get to face the Steelers twice this year, and he’s already expressing his excitement. It’s been widely stated that former USC quarterback Matt Barkley ended up hurting his draft stock by eschewing last year’s NFL draft and returning for a senior season in which the Trojans were the most disappointing team in college football. But while Barkley’s senior season was a disappointment, that doesn’t mean his draft stock dropped. As Mike Mayock noted on a conference call today, just because fans and media members were discussing Barkley as a likely Top 10 pick when he announced in January of 2012 that he would return to USC, that doesn’t mean he really would have been a Top 10 pick in the 2012 NFL draft. A year later, there’s talk that Barkley may have played himself all the way out of the first round. But Mayock doesn’t see it that way, either. It’s entirely possible that the bottom of the first round is where Barkley would have gone last year, too. A team that already has had plenty of distractions seems to be on the verge of another one. 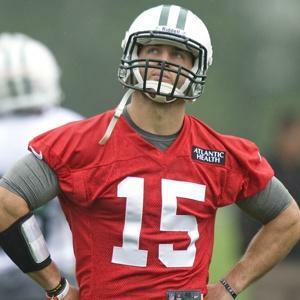 Regardless of anything he ever has said, Jets quarterback Mark Sanchez never wanted Tim Tebow on the team. And now that Sanchez is trying to take advantage of what necessarily is his last chance to save his job in New York, Tebow is still there. Not because the Jets want Tebow, but because the Jets want to try to trade away the obligation to pay the Broncos $1.53 million this year in salary that was previously paid out to Tebow by his former team. 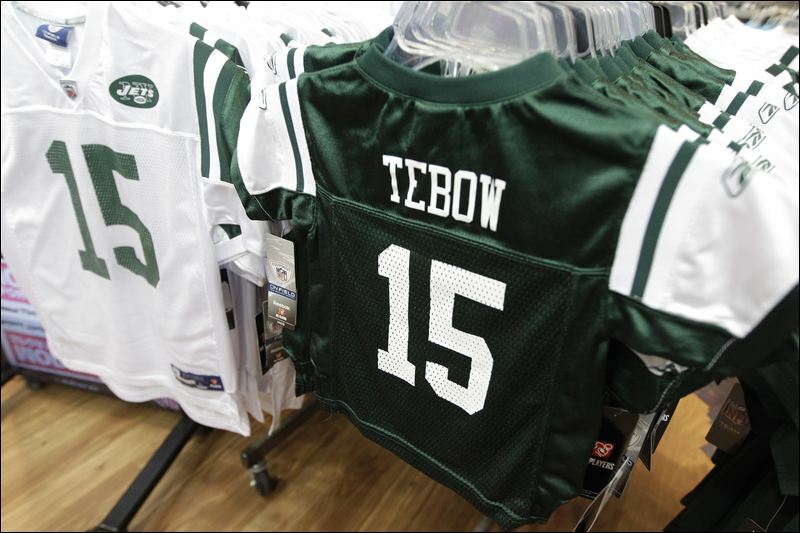 Still, it’s clear that Sanchez doesn’t want Tebow there, and it’s clear that Tebow doesn’t want to be there. Neither quarterback has rejected the comments. Which would lead a reasonable mind to believe that the quarterbacks agree with — or, at a minimum, don’t disagree with — the things that have been said. If neither Sanchez nor Tebow publicly distance themselves from the things said by Garcia and Clarkson, respectively, the possibility exists for their passive-aggressive feud to turn aggressive-aggressive. So, basically, the other guys working out at the Jets facility should be bringing popcorn to the weight room. The 49ers are inviting local draft prospects to the team facility to work out on Wednesday, and the son of a 49ers legend will be among those in attendance. Nate Montana, the quarterback son of Hall of Famer Joe Montana, will work out for the 49ers, according to the Associated Press. Although Nate got a lot of attention when he followed in his father’s footsteps and enrolled at Notre Dame, he never had much of an impact as a college quarterback. He played only briefly and went through multiple transfers, ultimately finishing his college career at West Virginia Wesleyan. Montana probably won’t be drafted, but he has a chance of catching on somewhere as an undrafted free agent. If he gets a spot on the 90-man roster in San Francisco, he’d be the most popular undrafted free agent in camp. 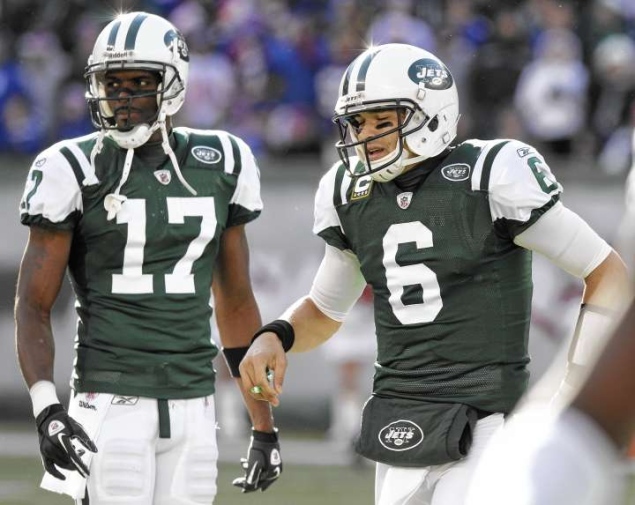 The Jets aren’t necessarily doing anything to show unconditional love to Mark Sanchez. But Sanchez said Monday he was committed to making things right. While he’s been left to twist in the wind and given the opportunity to “compete” for the job that was previously his, he’s taken steps including working with former NFL quarterback Jeff Garcia to come to camp ready. 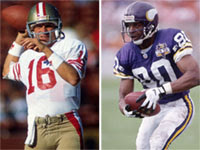 Of course, it’s not just competition from David Garrard or Greg McElroy, or whomever they might draft next week. Sanchez’s name was brought up in trade discussions between the Jets and the Bucs regarding Darrelle Revis — not that the Bucs want him, but just that the Jets might like to dump his salary. He referred to the Revis talks as “upstairs decisions,” but that’s where his fate is being decided also. But he’s trying to keep it about football and the competition. At the moment, that’s not the highest bar to clear, but even that might be beyond his reach. With all the focus on the presence of two unlikely members of the 2013 Jets at the start of offseason workouts, it largely has been overlooked a key player who remains in the team’s plans for the coming season won’t be there. Per Manish Mehta of the New York Daily News, receiver Santonio Holmes will remain in Ohio, where he has been rehabbing his foot and taking classes at Ohio State. The sessions are voluntary, which means a player only has to attend if he wants to earn a workout bonus. The prior version of Holmes’ contract did not contain a workout bonus for 2013; it’s unknown (at least by us) whether the renegotiation tied money to showing up for a certain percentage of offseason workouts. While Holmes may not have been in the team’s plans without guaranteed salary in 2013, a fully-guaranteed $7.5 million payment is forcing the Jets to treat Holmes like quarterback Mark Sanchez. They may truly want neither guy, but they are stuck with them. In the end, the 50 that wanted to keep receiver Emmanuel Sanders outweighed the 50 that didn’t. The 50 that lost likely will be saying “I told you so” in less than a year. With a one-year, $2.5 million deal, Sanders is scheduled to be an unrestricted free agent in March 2014. And with the Steelers unlikely to use the franchise tag (after all, they didn’t use it to keep Mike Wallace around), Sanders will head to market barring a long-term deal. If Sanders makes it to the open market, the Patriots likely will be given the first crack at signing him, thanks to the fact that the Pats helped him get a $1.2 million raise for 2013. The Steelers, in turn, will have nothing if Sanders leaves. Sure, his departure will factor in to the complex formula for determining compensatory draft picks in 2015. But the Steelers could have had the 91st overall pick in the draft now, signing the player to a four-year deal that would have cost roughly the same as one more year with Sanders. The benefit for the Steelers is that the matching of the offer puts Sanders under contract for 2013, which means he won’t be able to avoid mandatory minicamp or training camp without incurring potential fines. Last year, Wallace didn’t sign his tender and thus wasn’t under contract, which translated to a holdout that lasted deep into August. 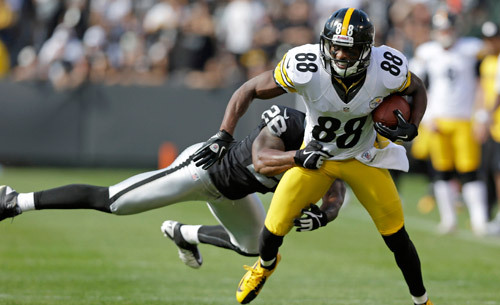 In theory, the Steelers now have the exclusive ability through next March to try to sign him to a long-term deal. And that’s the real question we have moving forward. In deciding to match the offer, did the Steelers also decide to take all reasonable steps to keep Sanders over the long haul? If so — and if they get him signed — then the decision to match won’t be as bad as if the Steelers view it as a one-more-year move. The Patriots will now be left to wonder whether they should have put some more money into the offer, and precisely how much more would have scared the Steelers away. More importantly, the Pats now need to look elsewhere for help at receiver. On Friday, we advanced the ball on the Darrelle Revis trade talks with a wrinkle that came as a surprise: The name of Jets quarterback Mark Sanchez has come up in the negotiations. We tripped over this particular nugget while exploring whether the Jets may be trying to foist Tim Tebow onto the Bucs as part of the trade. A source with knowledge of the talks said that, while Tebow’s name hasn’t been mentioned, Sanchez’s has. The move would make a lot of sense for the Jets, who surely would have cut Sanchez by now, if his $8.25 million base salary for 2013 weren’t fully guaranteed without offset. Multiple reports have since emerged that the Buccaneers aren’t interested in Sanchez. Several of the reports have confirmed, however, that his name did indeed come up as a potential add-on to the deal. If the Bucs would take Sanchez, it wouldn’t mean they necessarily want him. It would mean that they want Revis badly enough to remove from the Jets the obligation to pay Sanchez $8.25 million guaranteed — and to carry the cap space that is consumed along with it. Apparently, Tampa’s desire to land Darrelle Revis has a limit. When Tony Romo received a $25 million signing bonus as part of a new contract that guarantees him $55 million, a common question was: How can Jerry Jones justify giving a quarterback with one playoff win that much money? But one retired quarterback who has a lot of playoff wins, Brett Favre, says Romo does not deserve the blame for the Cowboys’ lack of postseason success. 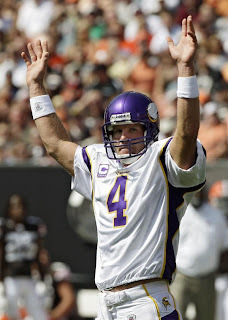 Favre acknowledged that Romo (who tied his career high with 19 interceptions last season) sometimes plays recklessly. But he said that’s usually the result of having to do too much because the Cowboys are struggling. Favre is right that football is a team game, and that quarterbacks often get too much credit for wins and too much blame for losses. But the reality is that Romo’s contract is the kind of contract a team gives its quarterback because it believes it can contend for a Super Bowl right now. And if Romo and the Cowboys don’t contend for a Super Bowl, the decision to give Romo that contract will look like an expensive mistake. Broncos quarterback Peyton Manning tucked himself away at Duke University last offseason to rehab from neck surgery. This offseason, he’s going there to get used to his newest teammate. According to Mike Klis of the Denver Post, Manning is working at Duke with new wide receiver Wes Welker, along with holdovers Demaryius Thomas and Eric Decker. 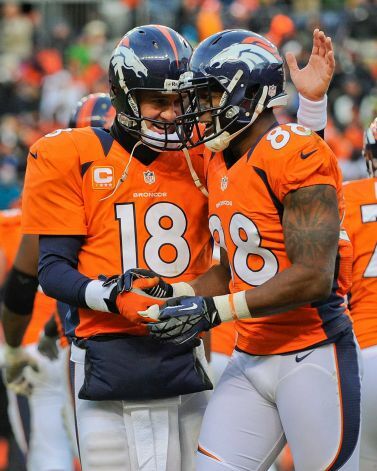 Getting Welker integrated will be important, as the Broncos had a solid base of receiving talent in place. Thomas and Decker caught 179 passes last year, meaning Welker might not be able to match the 118 he caught for the Patriots last year. Manning works at Duke under the eye of Blue Devils coach David Cutcliffe, who was his offensive coordinator at Tennessee. He also coached Eli Manning at Ole Miss, and Eli brought Victor Cruz, Hakeem Nicks and Louis Murphy along with him to play pitch-and-catch. The Patriots are making a move for wide receiver Emmanuel Sanders. Sanders, a restricted free agent from the Steelers, has signed an offer sheet with the Patriots, according to multiple reports. That means the Steelers will have five days to either match the Patriots’ offer and keep Sanders, or decline to match it and let Sanders become a Patriot. If the Steelers don’t match, they get the Patriots’ third-round draft pick, No. 91 overall. The offer is reportedly a one-year contract. The Patriots have more cap space than the Steelers this season, so it wouldn’t be hard for New England to offer Sanders a higher salary in 2013 than the Steelers can afford to pay. But if the Patriots send the Steelers their third-round draft pick they’ll be almost out of ammunition in the draft: They’ve already traded away their fourth-round pick for Aqib Talib, their fifth-round pick for Albert Haynesworth and their sixth-round pick for Chad Ochocinco. Sanders visited the Patriots a month ago, and the possibility that he could land in New England has been much-discussed since then. If the Steelers don’t match, then the Patriots have taken a big step toward filling the gaps in their receiving corps, and the Steelers — who have already lost Mike Wallace in free agency — will be down two of their top three wide receivers. As the Jets continue to squat on the rights of a quarterback who’ll likely never wear a green and white uniform again unless he becomes an auto mechanic, Tim Tebow has spent time working with a former Jets quarterback who accomplished as much with the team as any of its quarterbacks since Joe Namath. According to BayNews9.com, Tebow spent Monday working out with Vinny Testaverde. They worked out at Jesuit High School in Tampa, where Testaverde currently serves as the team’s quarterbacks coach. Tebow has been working in the offseason to improve his mechanics. Something he has been doing for three years, if not longer. On an unrelated note, insanity is defined as doing the same thing over and over again and expecting different results. Or something. 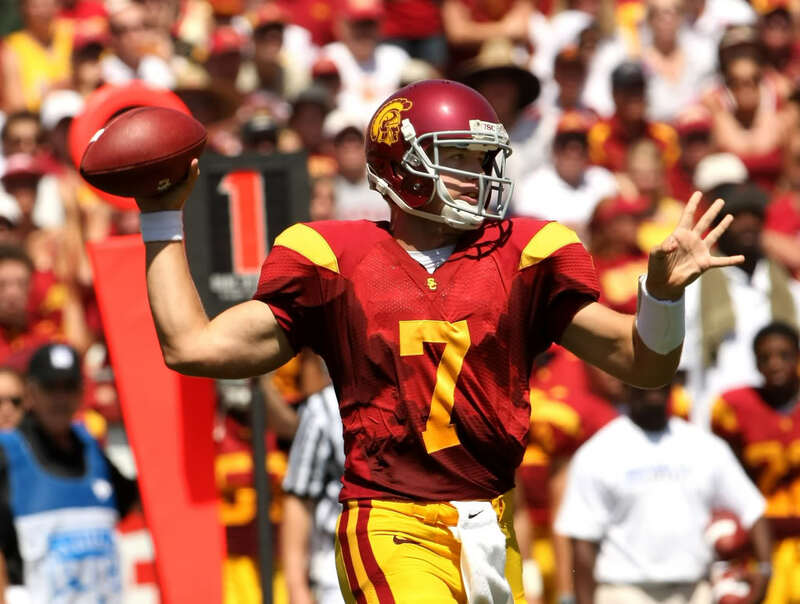 There haven’t been too many highlights for quarterback Matt Leinart since he played for Pete Carroll at USC, which might explain why Leinart is interested in seeing if he can reunite with his college coach. 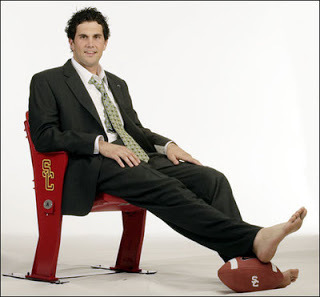 Mike Garafolo of USA Today reports that Leinart will be one of four veteran quarterbacks in Seattle this week to work out for the Seahawks. With Matt Flynn dealt to Oakland, the Seahawks appear to be in the market for someone other than the recently re-signed Josh Portis to back up Russell Wilson. Leinart, who played in two games for the Raiders last season, will be joined by one of his opponents from those halcyon days as a USC Trojan. Brady Quinn faced off against Leinart and Carroll when he was at Notre Dame and he will also be in Seattle to vie for a new job after spending last year with the Chiefs. Per Garafolo, Seneca Wallace and Tyler Thigpen will also be part of the quarterback caravan rolling into the Pacific Northwest. Wallace spent his first seven NFL seasons with the Seahawks and was traded to Cleveland before Carroll’s first year as Seattle’s head coach. Thigpen has started 12 games in his NFL career, none since 2010, and saw action in seven games with the Bills across the last two seasons. Among the 213 prospects who will work out over the next two days at the NFL’s Super Regional Combine at Cowboys Stadium will be the sons of two Hall of Famers. Nate Montana, son of Joe Montana, and Duron Carter, son of Cris Carter, will be participating, according to Alex Marvez of FOXSports.com. 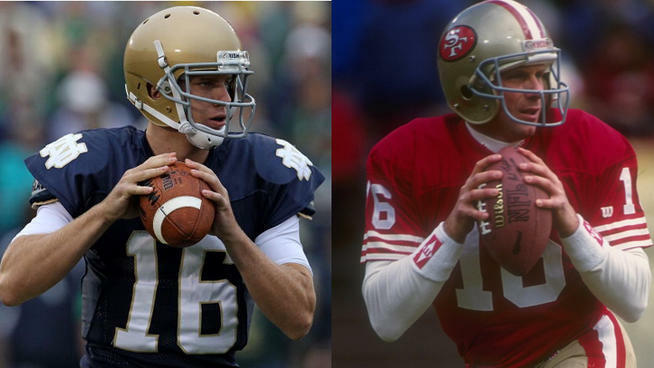 Nate Montana was the subject of a great deal of media and fan attention when he started his college career as a Notre Dame quarterback, just like his father. Unfortunately, unlike his father, Nate never had much success at Notre Dame. He ended up transferring to the University of Montana, then transferring once again to West Virginia Wesleyan. And Duron Carter, like his father, started his college career as a receiver at Ohio State. But Carter transferred to Coffeyville Junior College in Kansas after academic problems at Ohio State, and although he later transferred to Alabama and then transferred one more time to Florida Atlantic, he never played for either of those schools because he had more academic problems. Both Montana and Carter are extreme long shots to get drafted, but it wouldn’t be surprising to see either of them sign with some team as undrafted free agents. For Montana, Carter and the other 211 prospects at the Super Regional Combine, all they’re hoping for is a chance. Just after his team lost in the Divisional Round for the second straight season, quarterback Matt Schaub said he “absolutely” felt he could take the Texans to the Super Bowl. That was before the start of free agency, but the moves made by the Texans haven’t done anything to change Schaub’s mind. While he lamented the loss of players who signed elsewhere in free agency, Schaub thinks the additions made in response have left the team as a Super Bowl contender in the 2013 season. Winning two division titles and two playoff games have raised the expectations in Houston and Schaub will be a big factor in whether or not the team reaches them. He didn’t play well down the stretch last season, leading to some preemptive shows of support from the team in the wake of the loss to the Patriots. Teams that make it to the Super Bowl tend to have quarterbacks playing at the highest level, something the Texans did not enjoy last season. 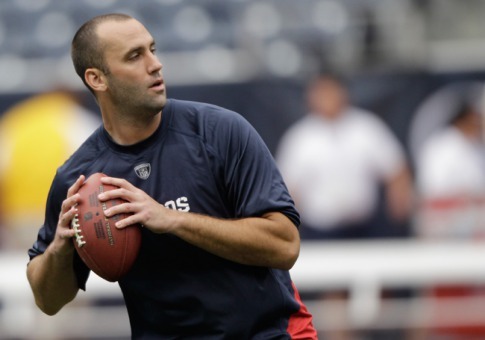 Schaub’s pretty clear about the rest of the Texans roster being capable of a Super Bowl run. It doesn’t take a crystal ball to tell where fingers will be pointed if it doesn’t happen. 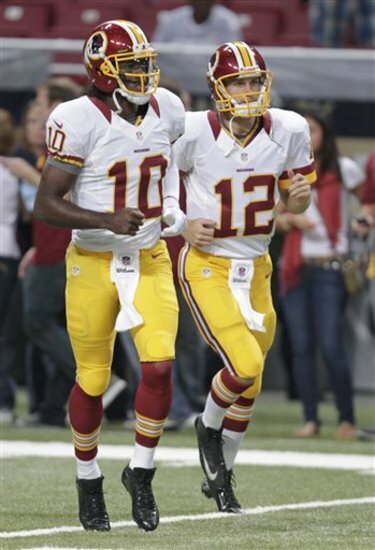 Don’t count Kirk Cousins among those surprised that the Redskins added Pat White to their quarterback depth chart. During an interview with ESPN 980 on Wednesday, Cousins explained why White’s arrival to a depth chart that also includes Rex Grossman as a backup to Robert Griffin III came without any raised eyebrows. It comes down to the need to work on the read-option aspects of the offense this offseason before Griffin’s knee has healed to the point that he’ll be able to take part in workouts. It’s hard to imagine White’s going to be any kind of short-term threat to Cousins’ status as the team’s No. 2 behind Griffin, so there’s no reason for Cousins to be anything but magnanimous about White’s return to the league. And, should that change, Cousins is likely to have other teams interested in his services as a potential starter which would probably wind up being his goal anyway. 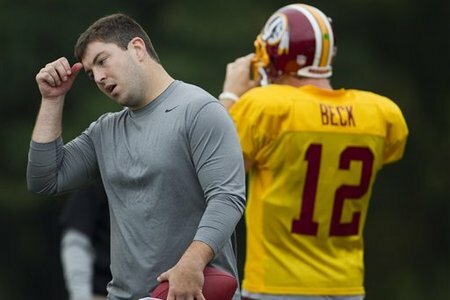 Rex Grossman’s three-year tenure with the Redskins will continue. Grossman, a first-round pick of the Bears way back in 2003, has re-signed with a team that may soon have four quarterbacks under contract. A 13-game starter in 2011, Grossman made no appearances in 2012, following the arrival of rookies Robert Griffin III and Kirk Cousins. Multiple reports indicate that the Redskins also will sign Pat White, which would give them two mobile quarterbacks and a pair of pocket passers. They may need one more quarterback for offseason workouts and training camps, given Griffin’s recovery from a torn ACL. A formidable 49ers defense has added another talented player to the mix. The Niners have come to terms with former Eagles cornerback Nnamdi Asomugha, NFL Network’s Ian Rapoport reported on Tuesday. Per ESPN’s Adam Schefter, Asomugha agreed to a one-year contract worth as much as $3 million. However, the deal doesn’t include any guaranteed money, per the cornerback’s request, Schefter said. 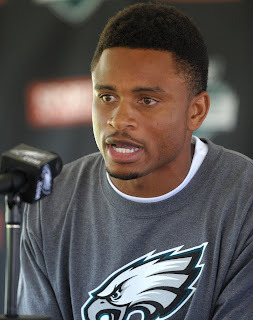 On his best form, the 31-year-old Asomugha could give the 49ers a lift in the secondary. He played his first eight seasons for Oakland (2003-2010), establishing himself as one of the NFL’s best at his position. However, he didn’t fare as well in the last two seasons, both in Philadelphia. Asomugha joins a San Francisco defense with a stout front seven, but the Niners struggled against the Ravens’ passing game in Super Bowl XLVII, and free safety Dashon Goldson has moved on to Tampa Bay. The 49ers, who surrendered just 200.2 passing yards per game in the regular season, surrendered 306.0 per contest in three postseason games, with Matt Ryan and Joe Flacco both faring particularly well against San Francisco in the playoffs. 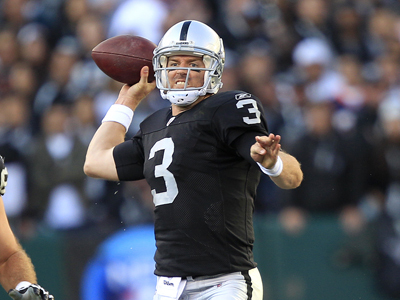 In what could be a sign that the next quarterback domino is about to fall, soon-to-be former Raider Carson Palmer was in Arizona yesterday. 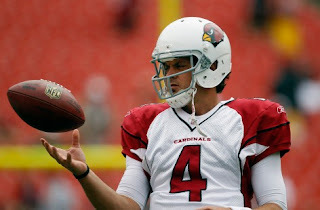 According to Kent Somers of the Arizona Republic, Palmer had dinner with Cardinals executives last night. There’s no word as to whether it was one of those Chip Kelly dinners in Arizona that goes on for hours and hours, or whether the deal is 95 percent done. But clearly they seem willing to work with Palmer the quarterback, as long as he’s willing to work with them on his contract, as they’re no more interested in paying him $13 million than the Raiders were. When the Browns hired Mike Lombardi as general manager and Rob Chudzinski as head coach, there was a lot of talk that they weren’t enamored with the starting quarterback they inherited, Brandon Weeden. 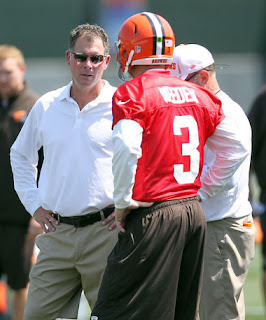 But as the Browns open their offseason workouts, Weeden looks like the No. 1 quarterback by default. The Cleveland Plain Dealer reports that Weeden will take most of the snaps with the first offense this offseason, and the assumption is he will be the Week One starter. Lombardi, Chudzinski and the rest of the Browns’ decision makers reportedly don’t think any of the quarterbacks in this year’s draft is worthy of their No. 6 overall pick, and so it appears that they won’t take a quarterback in the first round of the draft. After spending a first-round pick on Weeden last year, the Browns aren’t likely to spend a first-round pick on another quarterback this year. As for the other three quarterbacks on the roster, only Jason Campbell would seem to have any chance of beating Weeden out in a quarterback competition, as Colt McCoy doesn’t appear to have any future with the team and Thaddeus Lewis has never been better than third on a depth chart. Campbell took backup money from the Browns and will apparently be the backup to Weeden. At least, Campbell will be the backup to Weeden at first. If Weeden struggles, Campbell is there to take the No. 1 job. But at the moment, the No. 1 job is Weeden’s.